It's Walky! » Man, this is TOTALLY AWESOME. Man, this is TOTALLY AWESOME. 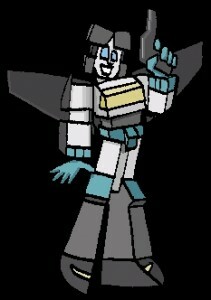 As I was wrapping up It’s Walky!, I saw that whole combined Roomies!/It’s Walky! continuum as the repackaging of my childhood stories. I didn’t know I’d go on to write 15 years more of webcomics. I mean, at this point still thought maybe I’d get a real job and chill out a bit. And so I just started cramming everything in. You’ve already seen the USS Destiny, you’re about to see (SPOILERS) Ultra Car, and right now you’re seeing Walkertron and Joystick, the transforming mechs that Walky and Joyce piloted in some of my late highschool/early college material. 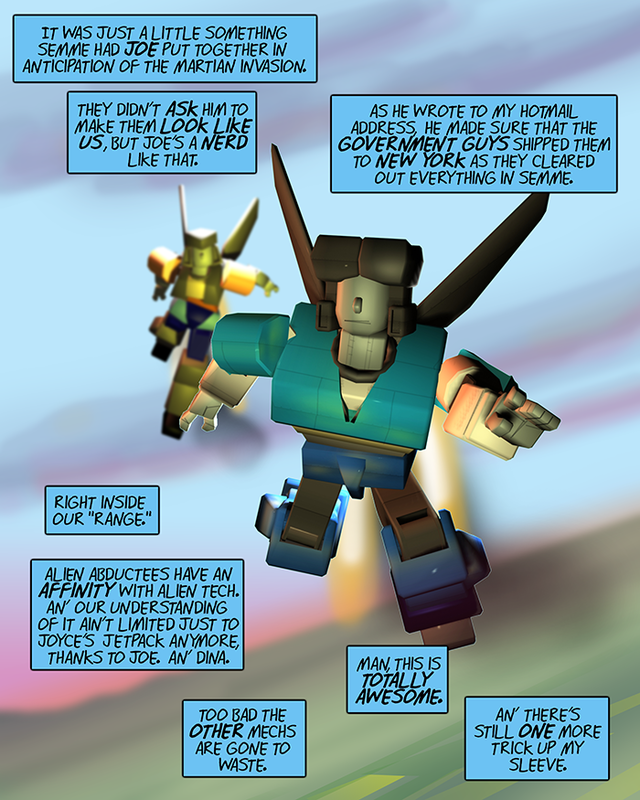 They were, essentially, my characters as Transformers. Transforsonas. And now they’re in my comic. Because no one could stop me. You don’t have a hotmail account? What do you give to services that are undoubtedly going to spam you? I have a second gmail for that. Does hotmail even exist anymore? I have kept my Hotmail as my main email service for almost 20 years, I ain’t changing now. I want one as well. An editor is reading this and crying tears of blood. No artist should have this much unrestrained power. George Lucas rubs his hands and nods. Good. Good. George Lucas is creaming his pants at the idea of having this much power and not even needing to spend lots of money to do it. As an occasional editor / teacher of editing, I can say that it is less the unrestrained power that makes me cry and more the dissonance between the hand drawn artwork and the 3d rendered martian tech. I understand the reasoning behind the choice, but I never like how the combination looks. Even if some of the 3d models are actually pretty impressive. This was actually a cool idea, I always thought it made no sense that SEMME had access to all the Martian Alien Tech just for them to not play around with it. I mean Head Alien made weird Dances all the time.,A cloning machine, at I’m freezing Ray, giant animal robots? I would have loved it more if yeah Doc or Dina go crazy and make more stuff like maybe a shrink Ray, anti Gravity gun, a power exoskeleton suit, or robot look alikes of Semme Agents. You know just give everyone the works. …oh, wait. You mean to tell me that timeline was retconned out of existence? Damn.